A couple of weeks ago I wrote about taking risks in the classroom in terms of developing new lessons that may or may not work with students. 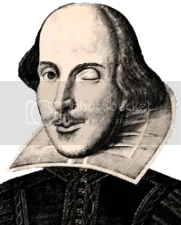 I have been doing this all year, with relative success, until I tried a new way to teach Shakespeare. Students usually have varied reactions about reading Shakespeare’s dramas. They find the plays boring, the language inaccessible and the themes tired. They roll their eyes and audibly groan when the words “Shakespeare Unit” comes out of my mouth. This year, I wanted to try something different. Instead of teaching a single play to the whole class, I decided to give my students choice in their learning. They would get to pick out a play they found interesting, then students were grouped according to interests and they then had time to read their plays, analyze the text, and determine a theme relevant to today. Their next steps were to create a modern interpretation of their entire play summarized into 5-7 movie/scene where they would write a script, memorize the script, film a short movie or act out their scene live for the class. This all sounds great right? How could anything go wrong? We meticulously planned out this unit, it could not fail. Oh but it did. I was the brain behind this idea, and my student teacher, God bless her, created fabulous lessons plans to get our students started. We found a wonderful intro to Shakespeare on Teachers Pay Teachers which had students moving through stations to learn about Elizabethan England, Shakespeare, language presented in the text and then short summaries of his plays. Students then chose the play they wanted to study and were grouped based on their choices. We decided to give students class time to read their plays. My vision was that they would choose parts and read aloud in their small groups. What actually happened is that many of groups shut down after Act I Scene I of their plays. They weren’t understanding their plays and some of them gave up. We decided to point them in the direction of No Fear Shakespeare so they would be able to read modern text side by side with Shakespeare’s original work. This helped, but not enough. Some students were still struggling. As time ticked by, we realized in order to get this unit finished and for student understanding we had to direct them to the summaries of the acts. Students at least now had a understanding of what their plays were about, who the characters were, and what themes were presented. Unfortunately having honors students read summaries of plays was not how I envisioned my unit. Students were given class time to work together to create their versions of the play of choice. Some chose to film this and some acted out their scenes in class. Time was wasted, and the whole assignment became pointless. This unit, which I had been thinking about for months, completely bombed. I still like my idea, but the way I executed it was all wrong. I’ve been thinking about how I would do this differently if I chose to have my students do this again, and I’m not sure I have the right answers at this point. My risk on my Shakespeare unit failed, but I have taken many other risks with lessons that were successful. Taking risks, in general, is scary. What if you fall flat on your face? What if your students learn nothing? What if you waste the precious time you have with your students? These questions are all realities when trying something new. Yes, my unit bombed, but I learned. I learned that my students are really flexible and forgiving. That they will try new things even if they hate it, and they will give me constant verbal feedback on what is not working. Will I try this unit again? Maybe, with some very significant changes. Teaching is all about risks and reflections, and one failed unit is not enough to stop me from trying to be creative in the classroom.